We have some incredible news for you! From today until midnight September 17th, October 1st you can get every single Lamplighter Theatre drama for only $10 each! That's right. 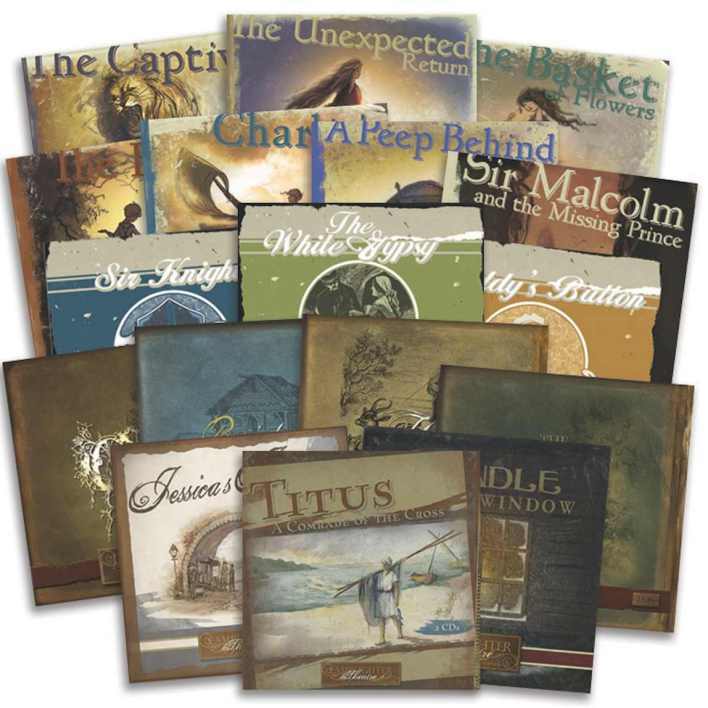 When you use the coupon code SUMMER10 AUTUMN10 in the Lamplighter store, you can get any of the current Lamplighter Theatre dramas, on CD or MP3 for just $10. You can use this coupon only 2 times, but you'll need to do a different transaction for each product that you buy. If you have never heard Lamplighter Theatre before, have some of the stories missing from your collection, or want to share the show with a friend, there is no better time than now to buy these amazing productions! This sale does not include pre-orders for upcoming Lamplighter Theatre dramas, the You Are There series, or the Tales of the Kingdom series. UPDATE 9-30-17: Coupon Expires Sunday, October 1, 11:59 PM EST. Use code AUTUMN10. UPDATE 9-18-17: The sale has been extended through midnight September 18th!